I often get asked about drifting and M30s. Building an M30 is subjective because there are great possibilities and there are very real limitations. The most debilitating is finding stock parts to replace broken or worn ones. The American Mentality is swapping and drifting, this reaches to the Infiniti M30 as well. The influence how to tune an M30 in America has taken an unbalanced turn. Before, there was a balance between owners who wanted to keep the car clean and the other half was about drifting and making the M30 on par with the 240sx. At least back then, people were dedicated to their M30s. Nowadays, people are more into trends and it isn’t common to find a someone picking up the M30 to build, but then realizing there isn’t much for it and eventually give up. It’s happened countless times. Parts are hard to get (normal parts) and many people want JDM parts, which have also decreased in recent years… leads to people realizing this isn’t another 240sx, where parts are plentiful and companies are making things for. The M30 DOESN’T HAVE THAT BACKING. What set off M30s and drifting? 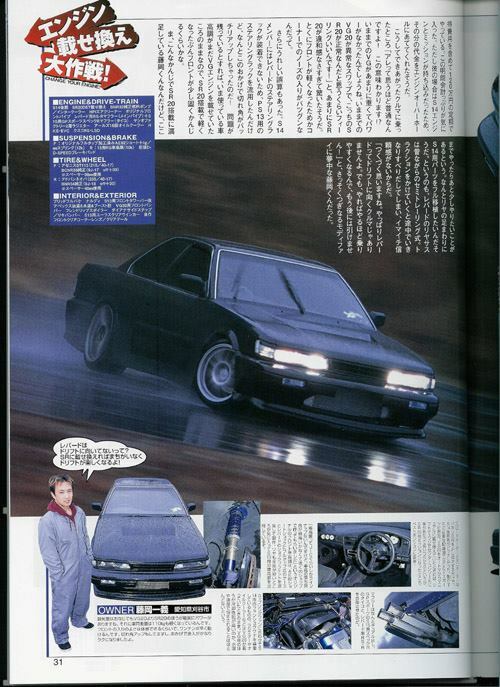 If you look at the history, it was started by asking the question of “Why doesn’t anyone consider an M30 (as a drift platform)?” What also inspired drifting the M30 was a Drift Tengoku magazine with a black Leopard drifting. It also had an SR20DET swap. This triggered the interest in making the M30 (US version of the Leopard) a possible swap and drift candidate. This was in the 2003 and I think people were starting to really exploring the M30. 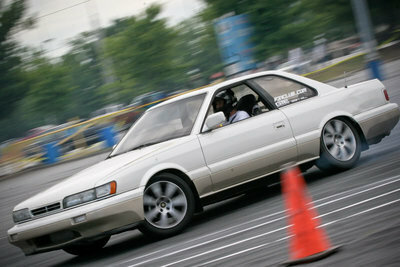 The first one to drift in an M30 was Jason in Hawaii. 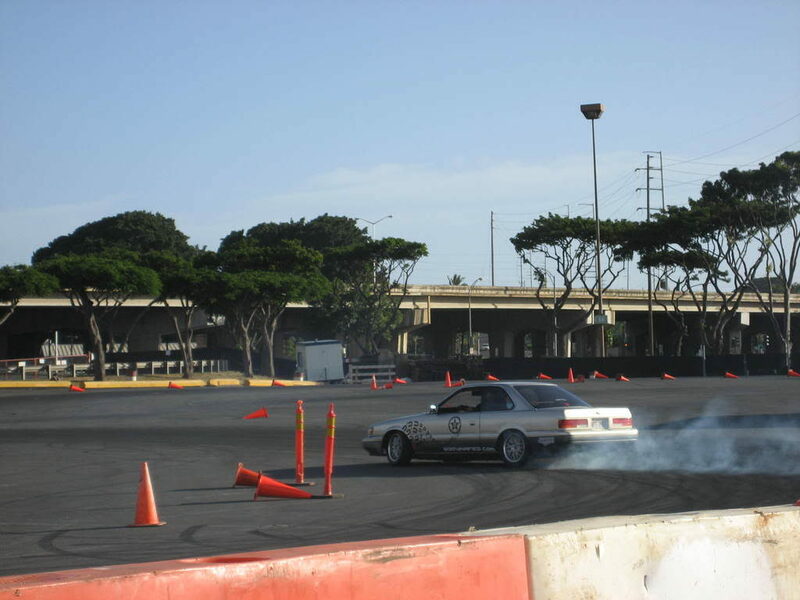 Then Renny, Denny and David were participating in drift events in Hawaii. Mainland, I felt a few people were still getting things straight before they started drifting. 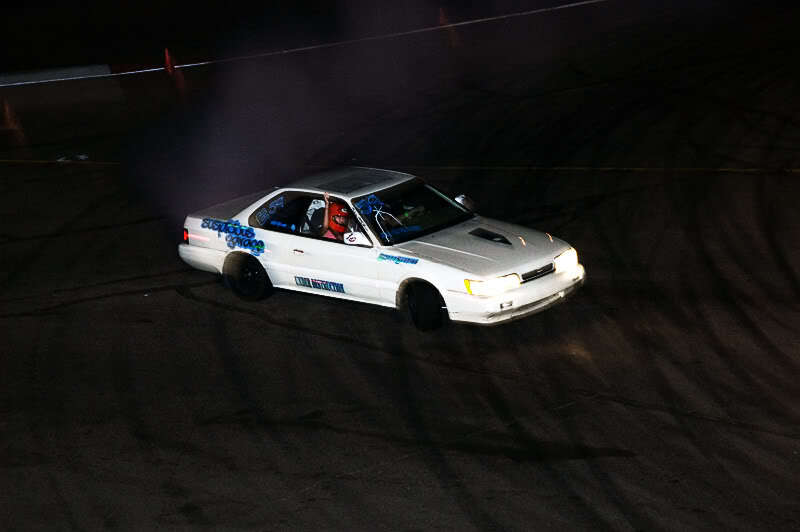 But Naoki was the first I remember and this was part of his Drift Day events. 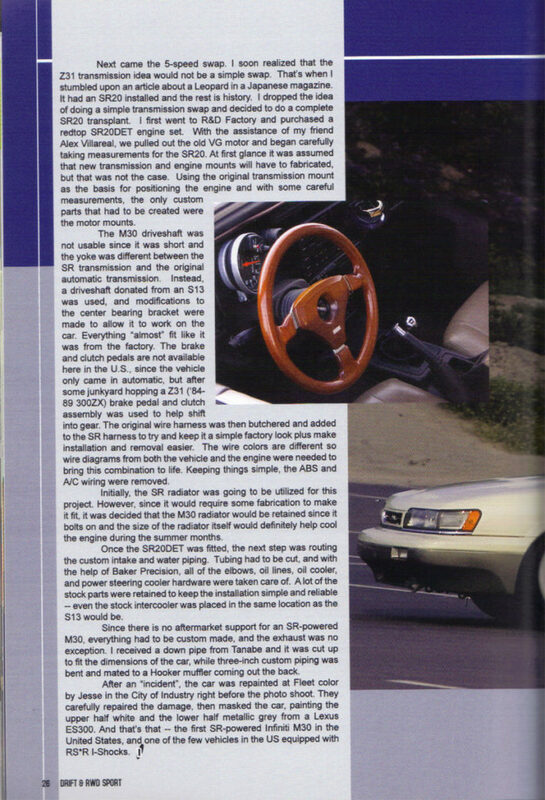 Soon people started to get info out there and it became almost an alternative to the 240sx. Many people that wanted to build something different, yet wanted built the M30 out of 240sx parts. With that said, people started to explore engine swaps. 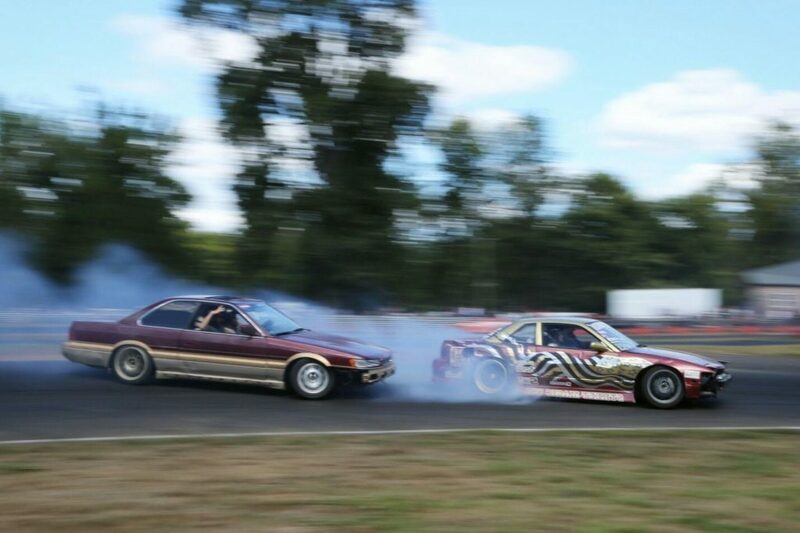 It is exciting to see that the M30 become a drift alternative. Many of us were there to see the enthusiasm grow. Every time something brought the M30 into the spotlight, there would be a spike in interest for the car. 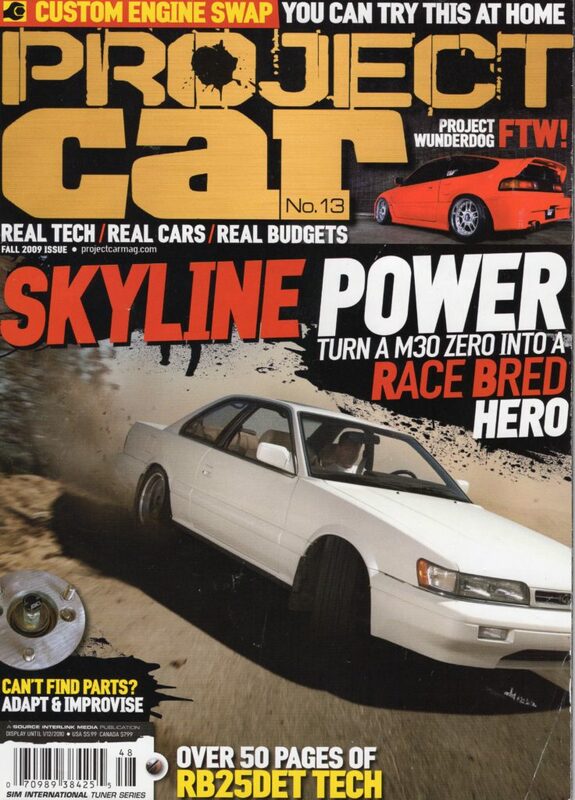 Koji’s car featured on Project Car magazine. The interesting thing is that when I went to Japan in October for the 30th annual Leopard meeting, I honestly expected crazy motor swaps. This is Japan and the RB motor is highly revered. So you have to understand that when I went there and saw only 1 car swapped, I was absolutely blown away. Not only were many cars NOT swapped, many have kept there VG motors. The other perspective was drifting. 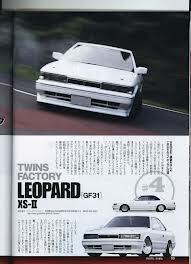 I didn’t understand why there wasn’t many Leopards drifting in Japan. Every owner I asked said the same thing, “There are better platforms to build for drifting.” I kept getting the response, “VG is the heart of a Leopard”. 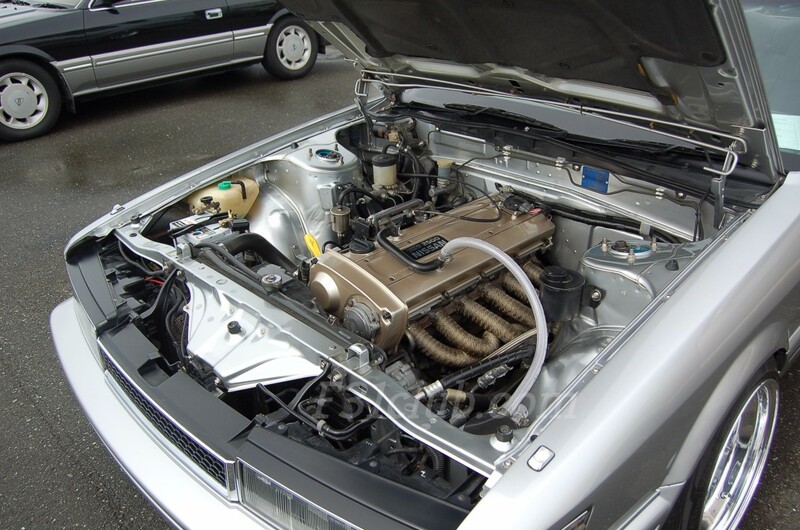 Even with the turbo leopards, I asked owners why not put big inter cooler and blow off valves… they said if they wanted that, they would have bought a Skyline. Such an interesting perspective. There was one swapped leopard at the event. 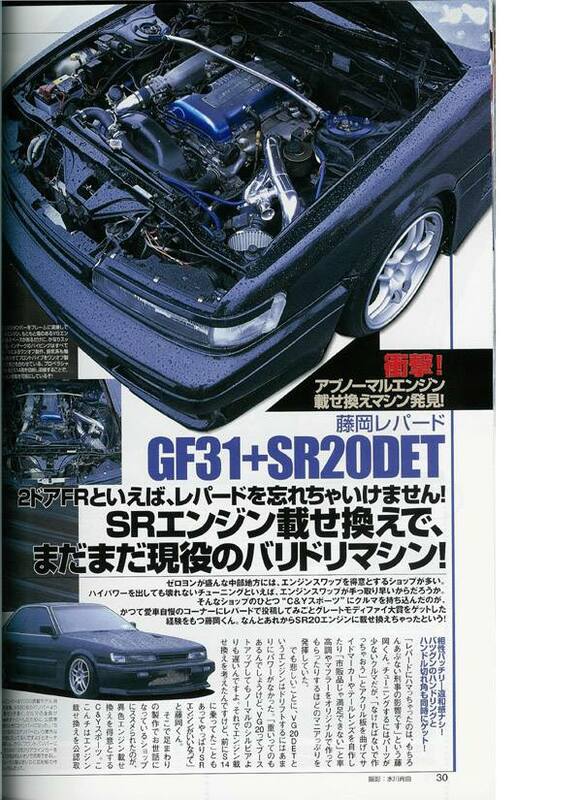 The silver Zenki Leopard with RB25DE that is INFAMOUS in American social media and Stance websites/blogs. This belongs to Mie Ueda. F31 is rare car. 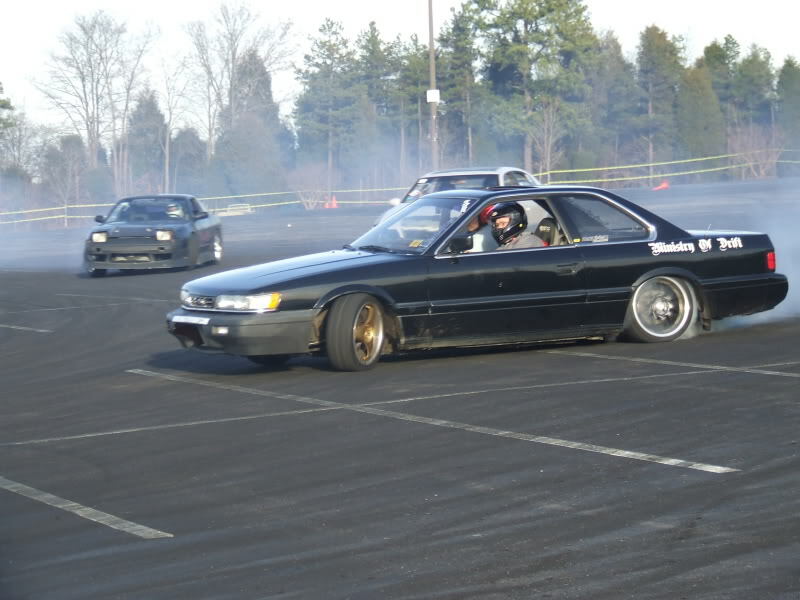 But for drifting, there are better platforms that have many parts. Why are people changing M30? *If you didn’t know, the owners of F31s are very proud of the car and many of the love the F31s the way they are. Drifting isn’t going anywhere anytime soon. I did ask many of the guys that did drift about their perspective. 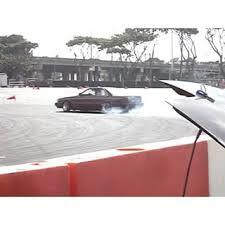 What interested you to drift the M30? Comparing to other cars, how is it different? What are the pros and cons of using the M30 as a drift platform? It was unlike any other car. The S13 front suspension being bolt on was a gift. The long wheel base was nice, car was pretty smooth. the way the rear suspension squatted was a bit unsettling but I got used to it. I actually never intended on making the the M30 a dedicated drift machine. Basically I acquired the car from my uncle, got it running and polished it up. 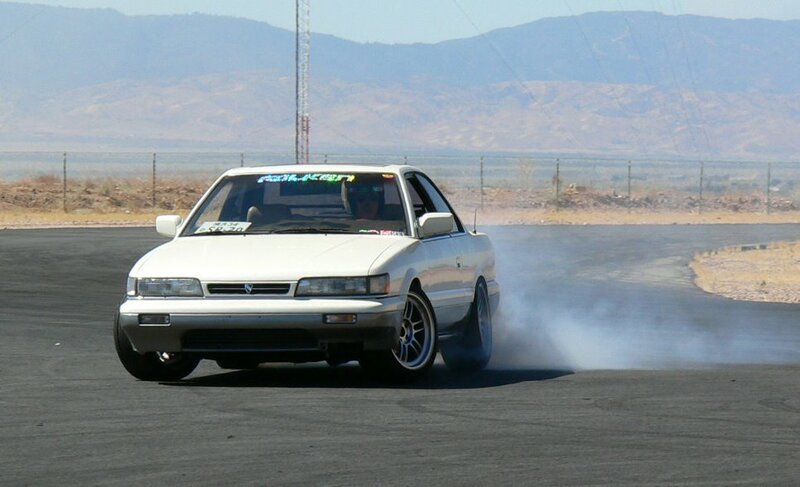 Then drifting sort of started up and I happened to have this sweet RWD vehicle and F31club.com community. 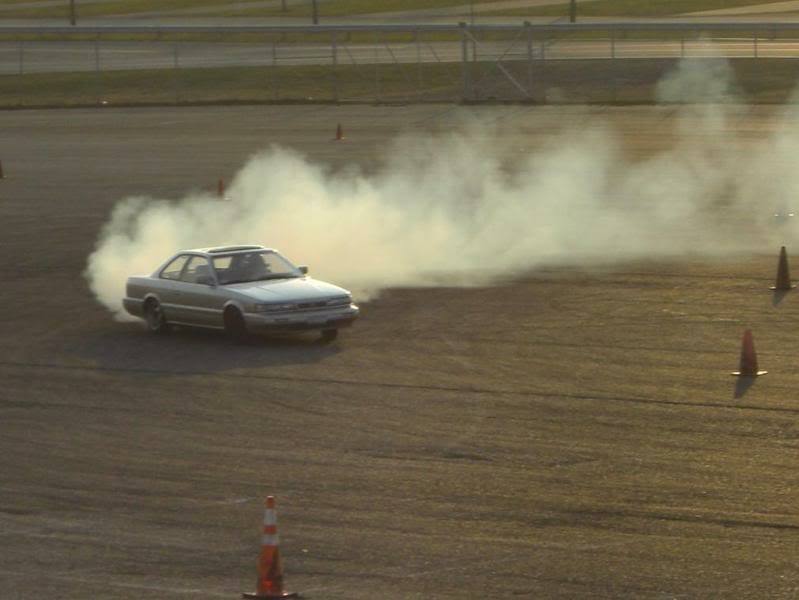 …It’s basically the only car I’ve ever drifted, so I can’t compare it to others. As far as pros and cons… cons you basically have to convert the suspension to S13, convert to manual trans; not the most powerful. Pros, it’s an M30, people were almost always intrigued to see it at the track, cheap vg30e motor. I think that sums it up. Fat boy status. Had a Supra for $600 right before that and loved the way you could just use the weight and inertia drift everywhere. 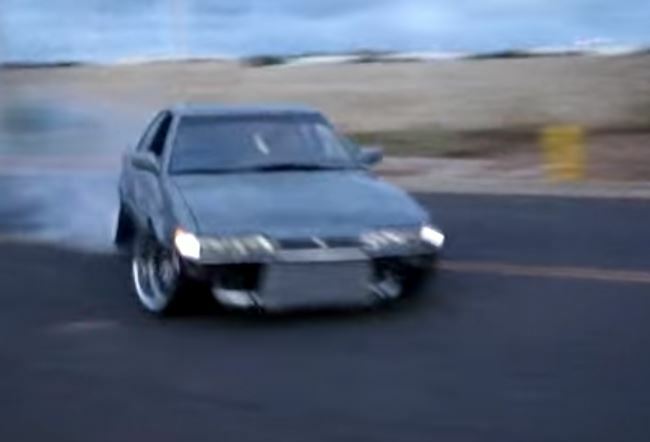 If you ever watched Drift Bible, I get like a giggly little girl just like Tsuchiya did every time I get into an overweight pig like an M30 at high speeds. Plus coming from 240s, it looks like a fat boy Silvia to me. Only cons were not enough made. yo! I chose this car mainly because I’m so tall, and it has a little more room for a helmet and cage etc without modifying the floor too much. truth be told, I still had to cut out the hump for the cat to fit in it right. also: many parts can be fit onto it from S-chassis, so aftermarket parts are abundant. The car is a little bigger and feels it on the track, you can be pretty heavy footed with it. I will try and get some pics from friends, or will take some at the next event. 1. As for choosing the M30 to drift, it just kind of fell into my lap. 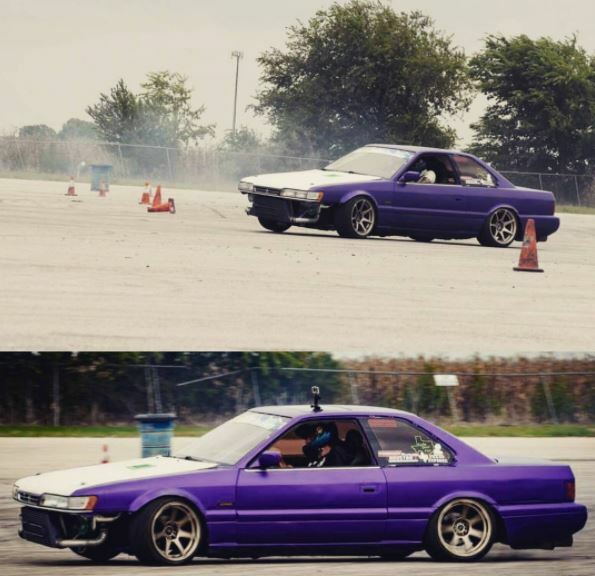 I got it for a steal at the auction and since i always wanted to drift. It was a perfect fit. Why i KEPT drifting it, is because every event i am the only M30. The people love to see it, the other drivers wish i would trade them. And i get to tell people all about the M30, i get asked more what it is than anything else. 2. Drifting the M30 is kind of its own experience. Since its a little longer, the car wants to kick the rear out. Until i got angle mods, it was kind of hard to keep the car sideways. 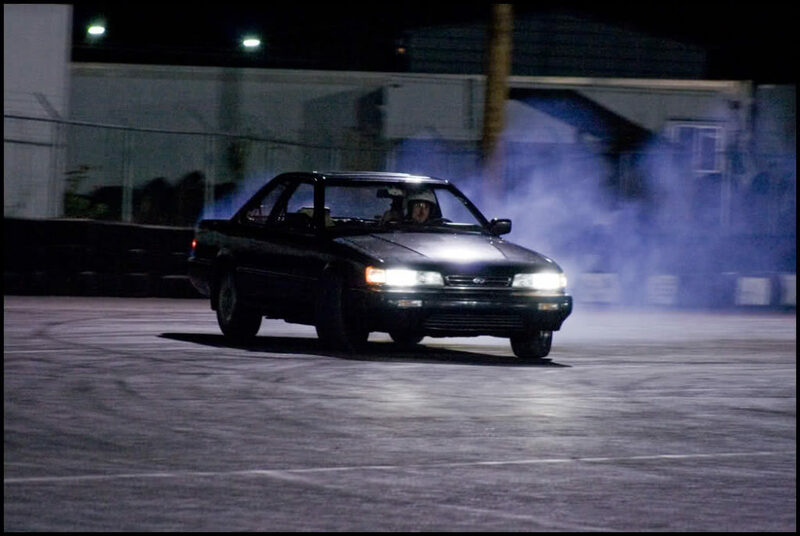 Now with modification, i feel safe saying its the easiest car to drift..that i have ever drifted. 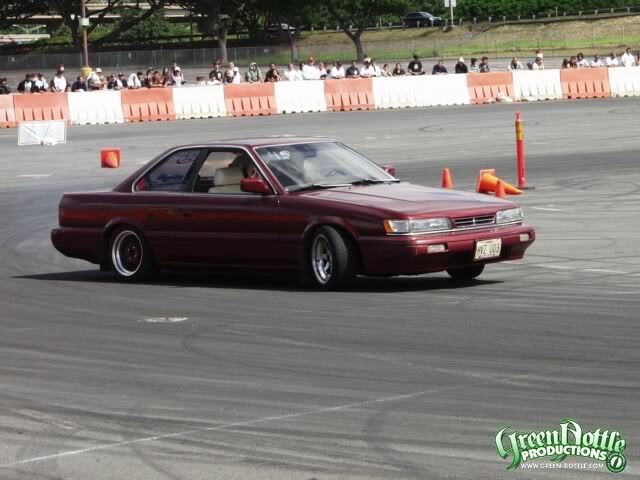 As far as being different, i would say the car handles almost like an s14, better than s13. 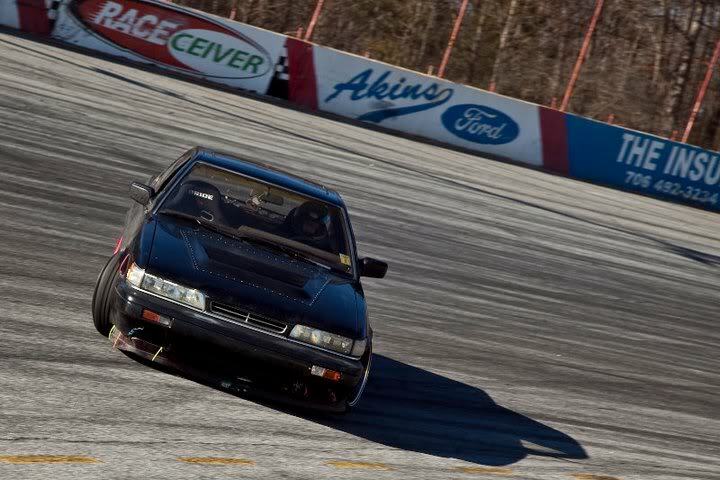 But alot rides on motor/suspension setup and how you drive. Me being a lead foot, i love the fact it is long and swings back so hard. For MY driving style the car is perfect! 3. There are probably more cons, than Pros with drifting the M30. -Forces you to drive better, because you wont be able to replace body parts..so dont wreck, at all. 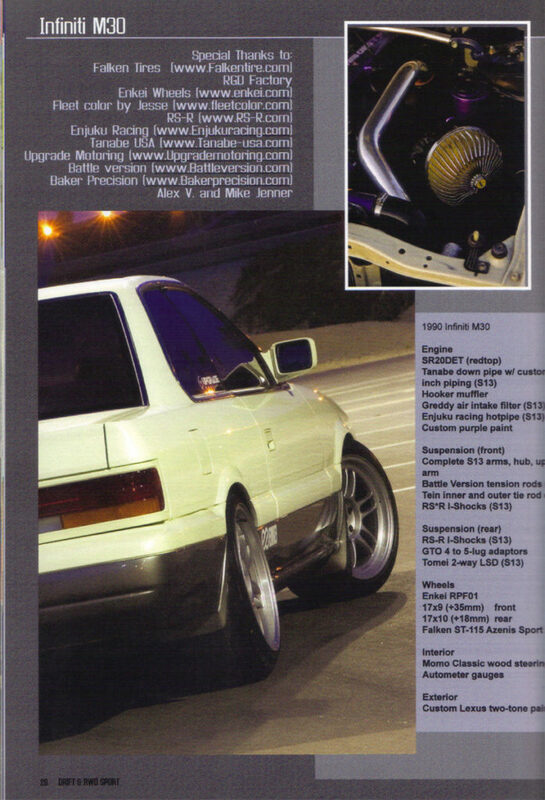 Drifting has been a component for the Infiniti M30 in the states, it is part of the foundation of why F31club was made. While many enthusiasts have realized that the car and parts are becoming scarce, there are always going to be people wanting to drift the M30 as alternative platform. This entry was posted in blog, drifting, history, magazines, opinion, Owners and tagged 180sx, 240sx, d1, drift, drift on m30, drift tengoku, driftday, drifting, formula d, option, redgorillaz, zilvia.